Following on from the Rolling Road Part 1 - fitting the new TPS made a huge difference to the car and the engine certainly ran better on the drive over to Stoneleigh the next weekend. However I still wanted it checked out and so it was back into Tiger yesterday for some more work. Having proved to Jim's satisfaction that the timing advance was working correctly we then started checking emissions and throttle openings to ensure everything was working before running the car up on the rolling road. Numerous tweaks were made to the map and checked repeatedly, before we went for a power run. 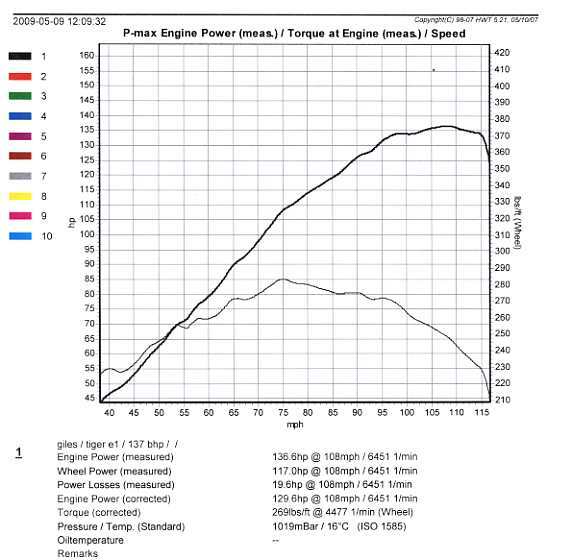 The engine certainly made more power than before and produced a nice smooth power curve topping out at 136.6bhp not bad for an early 80's pinto which was rebuilt 10 years ago! The only problem was that at the top end the engine starts running rather weak as it appears the main jets are slightly undersized as the car has dellorto rather than Weber carbs Tiger didn't have any in stock. So I am going to have to order some in but as they are only Â£16 for the set it will hardly break the bank. We will then see if they give me some more power. 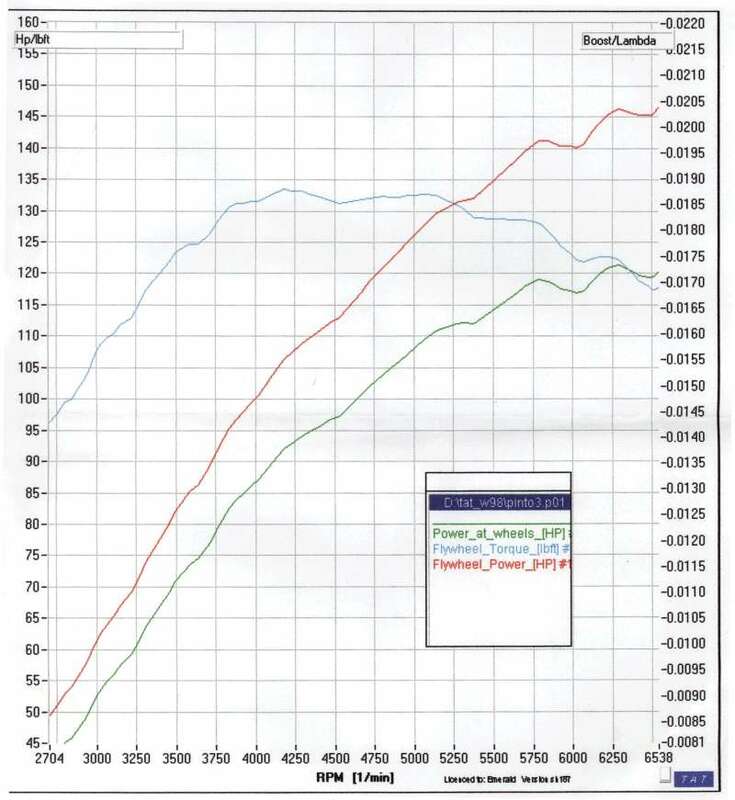 Compare the mark ups for the engine power - Emerald and Tiger are roughly the same so I would class those two as accurate however if I assume than Northampton Motorsport is a linear loss then that makes the engine yesterday producing 164bhp!